Mahesh Babu is all over the film. He charms with his style, scares with his intensity and strikes with his looks. His dialogue delivery is another high asset to the film. 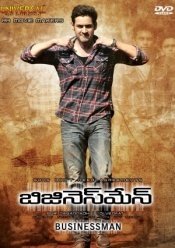 The entire film runs purely on two things- Mahesh Babu’s performance and Puri’s dialogue power. Nothing haunts other than Mahesh Babu’s dialogues from the film after coming out from theater.